The Spring Conference (Spring Meeting) is open to current ABA and MPIBA member booksellers. You are cordially invited to attend the Spring Conference in Evergreen, Colorado, on Wednesday, April 25, 2018. This conference offers booksellers an opportunity to gather in an intimate setting and delve into the current topics in our industry. It also provides a forum to discuss the tools available to us, if they are working, who is succeeding with them and why, and mostly educate, learn from, and enjoy the company of fellow booksellers. 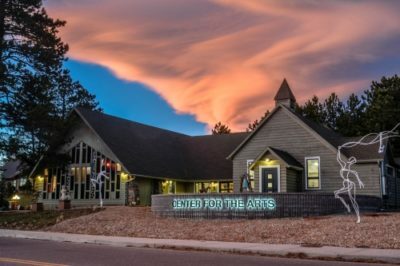 All events, including the MPIBA Author Reception, will be held at Center for the Arts Evergreen, located at 31880 Rocky Village Drive in Evergreen, Colorado 80439. The Author Reception will feature authors you’ll be excited to see and hear … please take a look below for photos, author bios, and book descriptions. Designed for booksellers, the Spring Conference is open to current ABA and MPIBA member booksellers. Complete the online form for your bookstore, including lunch selections for each bookseller attendee. Comfort Suites Golden West room reservations. Call the hotel to make your room reservation. When calling, mention “Mountains & Plains Spring Conference 2018” for the special rate starting at $115 per night: (303) 526-2000. The hotel features a free breakfast buffet, free WiFi, and free parking. The ABA Booksellers Forum provides members with the opportunity to share ideas, examine industry issues, and receive updates on various association projects. In addition to the usual open forum discussions on topics of concern to booksellers, the American Booksellers Association’s Spring Forum will feature an educational session focusing on the issues independent booksellers face in staying profitable. The education portion, “A Year of Bookstore Profitability,” to be led by ABA, will present a year-long calendar of effective steps that bookstores can implement — as well as key cost-saving programs — to boost sales and improve the bottom line. This session is applicable to all bookstore employees, and booksellers will be invited to join the conversation and share the initiatives they use to improve profitability each quarter. ABA’s Spring Forum is presented in conjunction with MPIBA, and booksellers will have the opportunity during the open forum segment to discuss any of their concerns related to ABA, the book industry in general, and other issues. The spring forum discussions are a critically important vehicle for ABA to gather feedback from members, and all are encouraged to come prepared to discuss their concerns. MPIBA board and staff will lead an open discussion regarding the Fall Discovery Show and other programs, so please come prepared with your ideas and suggestions. For current MPIBA Advisory Council Members. 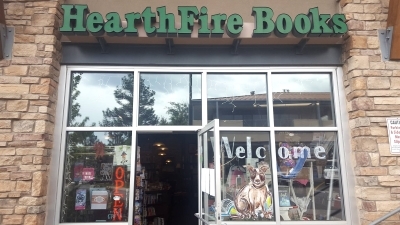 Visit member bookstore HearthFire Books & Treats, and enjoy the surrounding area and local businesses. Karen Auvinen is a poet, mountain woman, lifelong westerner, and writer. Her body of work, which examines what it means to live deeply and voluptuously, has appeared in The New York Times as well as numerous literary journals. A former Artist-in-Residence for the State of Colorado, Karen is the winner of two Academy of American Poets awards and has been nominated for several Pushcart Prizes in fiction. She earned her M.A. in poetry from the University of Colorado-Boulder, under the mentorship of Lucia Berlin, and went on to earn her Ph.D. in fiction writing from the University of Wisconsin-Milwaukee. Currently, she teaches film and popular culture at the University of Colorado-Boulder. A stunning, inspirational memoir from an award-winning poet who ventures into the wilderness to seek answers to life’s big questions and finds her way back after losing everything she thought she needed. During a difficult time, Karen Auvinen flees to a primitive cabin in the Rockies to live in solitude as a writer and to embrace all the beauty and brutality nature has to offer. When a fire incinerates every word she has ever written and all of her possessions—except for her beloved dog Elvis, her truck, and a few singed artifacts—Karen embarks on a heroic journey to reconcile her desire to be alone with her need for community. This evocative, rich, and compulsively readable memoir is as much an inward as it is an outward pilgrimage. Her pursuit of solace and salvation by shedding trivial ties and living in close harmony with nature, along with her account of finding community and love, is sure to resonate with all of us who long for meaning and deeper connection. ROUGH BEAUTY is a luminous, lyric exploration of and homage to her forty seasons in the mountains, embracing the unpredictability and grace of living intimately with the forces of nature while making peace with her own wildness. John Branch is a reporter for the New York Times. His feature article about an avalanche in Washington State, “Snow Fall,” won the Pulitzer Prize; he has been featured three times in The Best American Sports Writing; and his first book, BOY ON ICE, won the PEN/ESPN Prize for Literary Sports Writing. He lives near San Francisco. A gripping portrait of one family’s gamble that rodeo and ranching are the future of the West—and not just its past. In a powerful follow-up to his prize-winning, best-selling first book, New York Times reporter John Branch delivers an epic and intimate family story deep in the American grain. Written with great lyricism and filled with vivid scenes of ranch life and the high drama of saddle-bronc competition, THE LAST COWBOYS chronicles three years in the life of the Wrights, each culminating in rodeo’s National Finals in Las Vegas. Will Bill and Evelyn be able to hold the family together as rodeo injuries pile up and one of their sons goes off on a religious mission? Will their son Cody, a two-time world champion, make it to the finals one last time—and compete with his own son? And will the younger generation—Rusty, Ryder, Stetson, and the rest—be able to continue the family’s ways in the future? Kirk W. Johnson is the author of TO BE A FRIEND IS FATAL and the founder of the List Project to Resettle Iraqi Allies. His writing has appeared in The New Yorker, The New York Times, The Washington Post, and the Los Angeles Times, among others. He is the recipient of fellowships from Yaddo, the MacDowell Colony, the American Academy in Berlin, and the USC Annenberg Center. A rollicking true-crime adventure and a thought-provoking exploration of the human drive to possess natural beauty. Two years later, Kirk Wallace Johnson was waist high in a river in northern New Mexico when his fly-fishing guide told him about the heist. He was soon consumed by the strange case of the feather thief. A graduate of New York University’s MFA program, Maxim Loskutoff was the recipient of the Nelson Algren Literary Award, a Global Writing Fellowship in Abu Dhabi, and the M Literary Fellowship in Bangalore. He lives in western Montana. This searing debut reimagines the American West through linked stories describing a violent rural separatist movement … a work both timely and timeless. Set in the Redoubt, an isolated triangle of Idaho, Montana, and Wyoming where an armed occupation of a wildlife refuge escalates into a separatist uprising, these stories explore the loneliness, insecurity, and frustration inherent to love and heartbreak. A lakeside wedding drunkenly devolves into a cruel charade; an unemployed carpenter joins a militia after his wife leaves him; and a former soldier raises the daughter of a dead comrade in a bunker beneath an abandoned farm. Come West and See explores divisions both personal and political, offering startling insights into the wounds of the American people and a powerful new vision of the West. Joanna Luloff is the author of the short story collection, The Beach at Galle Road, which won the Maria Thomas Fiction Award. Her stories have appeared in journals including The Missouri Review, Confrontation, Memorious, and New South, and her story “Let Them Ask” won The Missouri Review’s Editors’ Prize. Debut novelist Joanna Luloff has written a moving and beautifully nuanced story of transience, the ebb and flow of time, and how relationships shift and are reconfigured by each day, hour, and minute. As a baby, Kathy Parks was thrown out with the bathwater. This experience shaped her life and art. She is the author of eight novels, including THE LIFEBOAT CLIQUE, and also works as an advertising copywriter. She lives with her husband, Michael, in Boulder, Colorado. In this darkly funny, new contemporary YA novel from the author of THE LIFEBOAT CLIQUE, girl meets boy … and the family holding her hostage. Adrienne Cahill cares about three things: getting into a great college; becoming a revered journalist like her idol, Sydney Declay; and making her late father proud of her. So when Adrienne is offered the chance to write an article that will get her into her dream school and debunk her foolishly optimistic stepfather Dan’s claim—no, belief—that a legendary family of hermits is living in the Siberian wilderness, there’s no question that she’s going to fly across the world. After all, it is the trip of a lifetime. But the Russian terrain is even less forgiving than Adrienne. And when disaster strikes, nothing—not the flirtatious guide or her stepdad’s obsessively detailed preparations—can protect Adrienne from the sheer force of nature. Now Adrienne’s being held captive by the family she was convinced didn’t exist, and her best hope for escape is to act like she cares about befriending them, even if it means wooing the youngest son. Sharp and sensitive, this is a darkly funny novel about survival, the human condition, and the power to shape your own story.